Part man, part machine, part #airportninja… ALL original. DJ, producer and multiple label owner: John B is one of electronic music’s most distinctive, creative and consistent contributors. Splicing genre DNA like a modern mad scientist, touring all corners like a D&B missionary; with a sound as sharp as his wardrobe and a vision as defined as his eyeliner, he’s ensured he’s remained a relevant, in-demand and influential source for almost 20 years and has developed one of the most loyal international fanbases in the scene. The highest ever charting D&B DJ in the DJ Mag Top 100, John has found favour from all sides; from championing Mixmag’s groundbreaking Trance & Bass mix CD to being responsible for one of Metalheadz most enduring, timeless classics ‘Up All Night’, John unites scenes and sub genres like no other. A high profile touring machine, he’s drum & bass’s most characterful international ambassador, notching dancefloor bedposts everywhere from Moscow to Manhattan, Manchester to Melbourne, Los Angeles to London. Freshly signed to Evolution artist agency – home of the most respected drum & bass talents – this global representation has just gone next level. The list of his creative accomplishments is endless: As a label owner, he’s responsible for signing early releases from an impressive roll-call of well-known artists to his labels Beta Recordings and Nu-Electro: Nu:Tone, Logistics, Commix, Xilent, High Rankin, Gemini, Receptor, Dexcell and Camo & Krooked have all enjoyed John’s support in the past while exciting new artists such as Gmorozov, Virtue and Vice City have all experienced the Beta treatment in the last 12 months and have plenty more in store in the near future. John has also developed a cult following on his food blog ‘Cooking With John B‘ and grows his own vegetables including voicebox-melting Trinidad Scorpion Moruga chillies. The real heat, though, is in his beats: John has released on hugely influential labels such as Goldie’s Metalheadz and Paul Oakenfold’s Perfecto. His skills have also been identified by Nicky Minaj who recruited John for co-production duties on her hit single ‘Here I Am’. He’s also remixed artists as disparate as Howard Jones to Pendulum via Bloc Party, Michael Cassette and My Robot Friend. Meanwhile as a selector he can conjure up the deepest, darkest classic sets, the most forward-thinking futuristic free-for-alls… And everything in between. No stranger to electro, Latin, punk, techno or jungle, his hugely popular podcasts reflect his rich understanding of the widest picture. 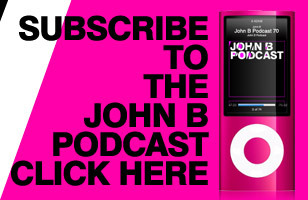 Destination johnbpodcast.com: each show regularly exceeds 100,000 downloads and frequently hit the number one spot on Mixcloud and iTunes podcast charts top 10. For 18 months he also blasted his broadcasting experience to over 130 cities across Russia with a weekly show on Radio Record. 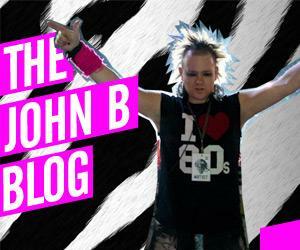 Naturally his wide range of reference points and his passion for all styles are also represented in John B productions. Flex right back to his scene-shattering steppers on SS’s scene-defining imprints Formation Records and New Identity Recordings, Grooverider’s Prototype Recordings & Fabio’s Creative Source in the mid-90s: while his peers pushed samplers to their very limits, John was exploring synthesis in a manner that was a decade ahead of its time. An early adopter of digital and online social culture, John was also way ahead of the rest with his media missions; his website www.john-b.com harboured all manner of freebies and behind-the-scenes treats long before the word ‘content’ became a buzzword, he was blogging before it was known as blogging and his sharp social dialogue has scored a loyal engaged fanbase who appreciate his wry take on life… Including a rare moment of EDM satire when he hoodwinked us all that Eric Prydz was suing the world via his ‘Bazzfeed‘ site. 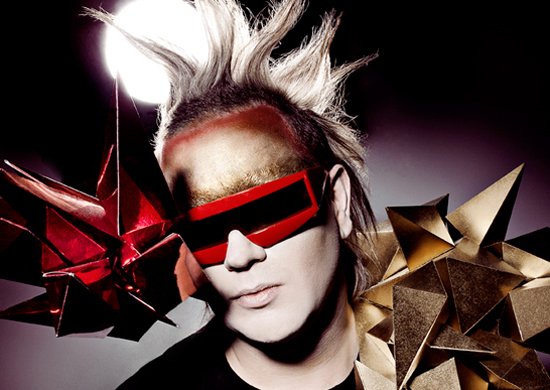 Back to the future; his 2012 studio album ‘Light Speed’ was album of the month in Mixmag and described by DJ Mag as a ‘suitably bananas soundtrack the maddest weekend ever’, while 2014’s ‘Drum & Bass Carnival’ showcased John’s hot blooded Latin licks as he revisited the sun-kissed side of his repertoire and provided two brand new party-startling productions; the yearning soul of ‘Take Me To La Cinta’ and the Darrison-fronted bass bubbler ‘A Man Is Just A Man’ were heartfelt homages to Sardinia’s scene Mecca – Sun & Bass. One of the festival’s most consistently memorable performers, he regularly plays several sets across the week, including a grand finale in San Teodoro’s Town Square in 2014. Another pivotal John B release in 2014 was ‘Drum & Bass 2014: Summer Sessions’… Digging deep into the Beta vaults, he reminded us just how era-bounding his own label and production discography really is. 2015 will see his debut album ‘Visions’ enjoy the same deluxe, remastered and remixed re-release treatment applied to his ‘Light Speed’ album in 2014. Yet more evidence of how he has remained at the forefront of all corners, behind his trademark robot shades, he’s looked dead into the future and explored sounds long before they’re adopted by the wider community. Both revisits will set the scene for a slew of new material, including a return to Metalheadz with a new remix of ‘Up All Night’ and the outrageously dark ‘The Colossus’. Already causing a stir amongst those lucky enough to have the dubplate, ‘The Colossus’ is a 10 minute epic that takes us right back to the icy techstep source… Where John’s roots are deeply entrenched. 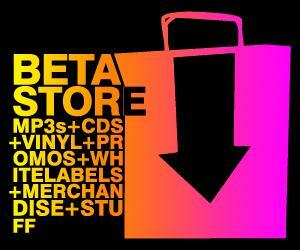 Other key releases in 2015 include a collaboration with DJ Fresh, a long-awaited follow up to 2002’s ‘Trance & Bass’ mix, brand new Beta single ‘Damages’ with one of electronic music’s most versatile vocalists Shaz Sparks, a speaker-melting remix of Seba & Kirsty Hawkshaw’s ‘Nothing Can Divide Us’ and plenty more. All this and one of the most grueling tour schedules in drum & bass in which John will trounce crowds across America, Russia, Australia, Europe and beyond. Style-splicing, territory-tearing and still the sharpest looking character in the scene, John B is more inspired and invested in work than ever before. Distinctive, creative and consistent, be prepared to experience his influence and impact on all corners of electronic music for a long time to come. “One of D&B’s few genuine global super-producers… John B really is in a league of his own… Remember John B’s unique contribution to the genre”.